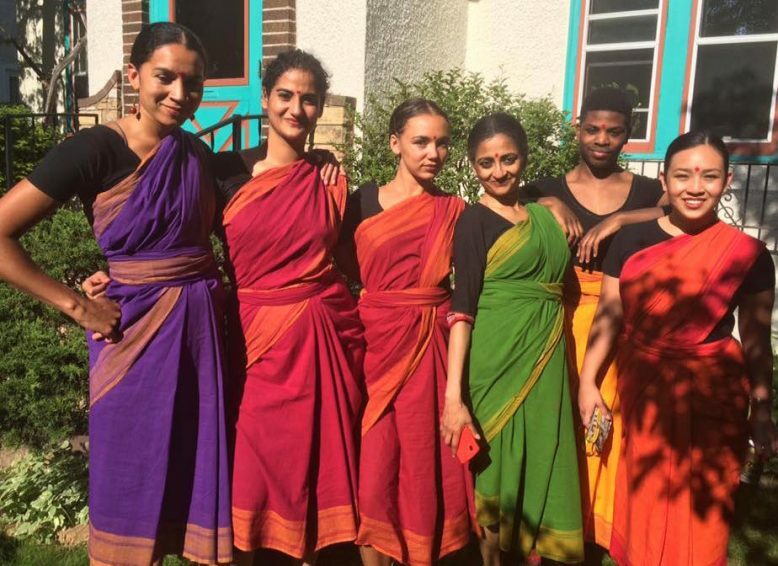 Members of Ananya Dance Theatre performed Odissi dance in a contemporary format at the Hindu Temple of Minnesota in Maple Grove, May 21. 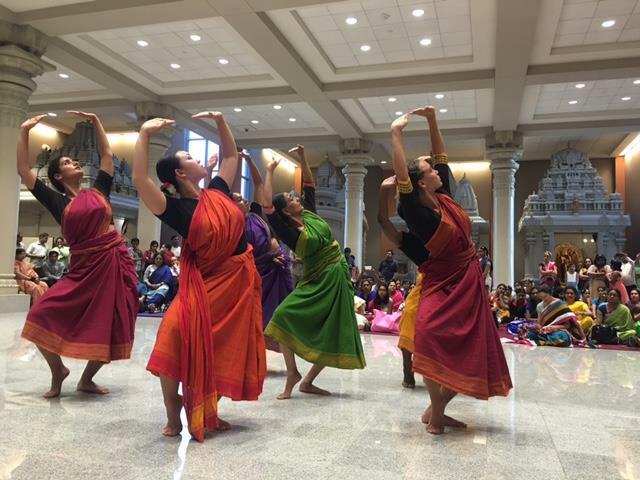 The presentation was made on the second day of Brahmotsavan at the invitation of the Hindu Society of Minnesota for its 10th anniversary. l-r: Lela Pierce, Prakshi Malik, Renée Copeland, Ananya Chatterjea, James Galtney, Kealoha Ferreira. May 21, 2016.